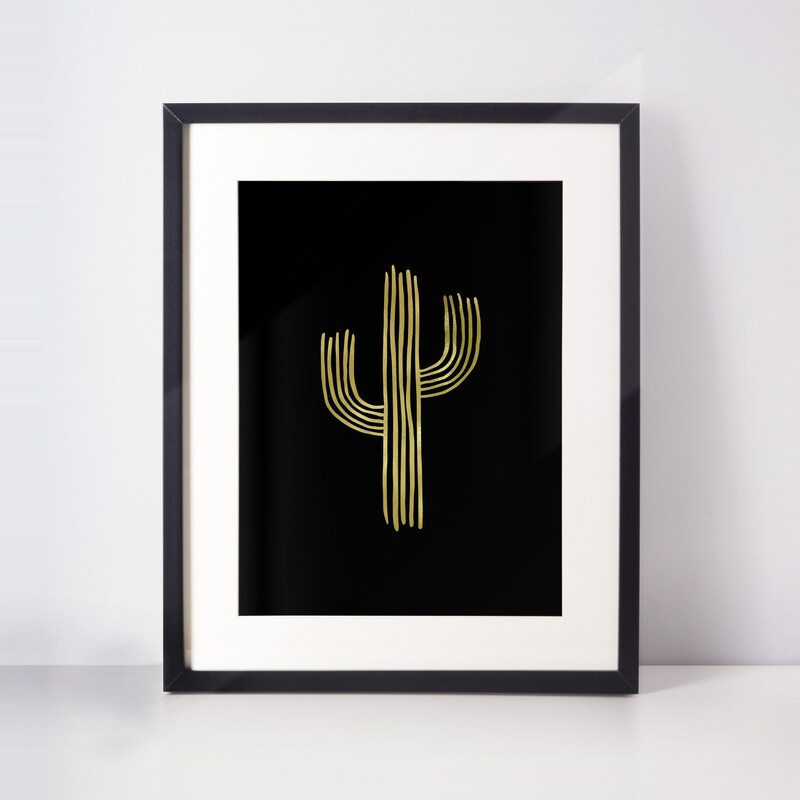 Add a bit of southwest charm to your home with this sweet hand-drawn and foiled cactus art print. This art print is foiled in gold and is printed on black acid-free paper. The print measures 8.5x11 inches, and can easily be trimmed down or matted in an 8x10 frame. This cactus art print makes a lovely addition to a gallery wall, or wonderful gift for your favorite succulent-lover. Prints are backed on thick cardboard and packaged in sturdy photo mailers to ensure they arrive to you in perfect condition. Orders ship every Saturday via First Class mail, so get your order placed today! Notes: This product is handmade, and as such there may be slight imperfections. Frame is not included.